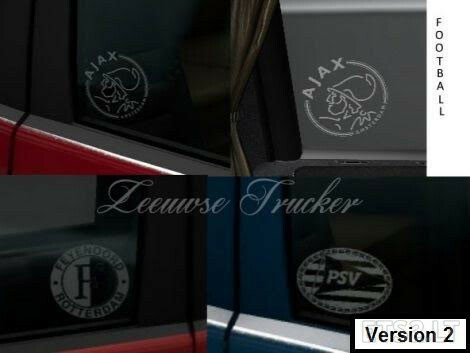 Three different side window stickers for scania RJL. I did not re-upload this mod, so there is no version 2. This is a mistake by ets2.lt i think or someone else re-uploaded it. i believe abasstreppas has made already. i only see the second picture, witch is the original interior. so what is on the first picture? aha, i got it….i used interior from R4, instead off T4, i never noticed that, shame on me. will look after that and try to put it in an update. thanks for report.